Kim Kardashian and Kanye West have named their daughter North West. No, you didn’t lose your sight or go crazy. They actually looked at their daughter and decided that ‘North West’ was a viable option. When it was being rumored earlier that Kim and Kanye were planning on going in a ‘directional’ route for their daughter’s name, I never actually took it seriously. I mean, that poor baby didn’t stand a chance, did she? To be fair, they can’t really do anything except for the West part, considering that it is Kanye’s last name. 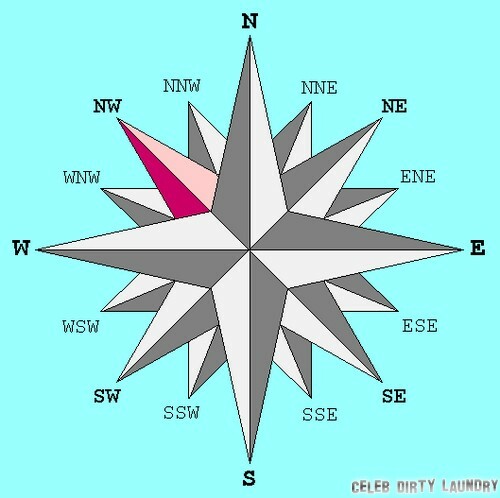 But they could have easily NOT named her another part of the freaking compass! I get that Kim and Kanye probably think they’re being ‘cool’ or whatever by going with such an original name, but can you imagine the ridicule that that poor child is going to go through when she’s growing up? I mean, she’s the spawn of Kim Kardashian and Kanye West, so the odds were already against her, but it seems like Kim and Kanye don’t even want to give her a fighting chance. What do you guys think about the name ‘North West’? If you keep saying it over and over again, it sounds like one of Kanye’s songs. I’m really hoping that both Kim and Kanye were under the influence of drugs – Kim from painkillers and Kanye from whatever he takes normally – and they realize what they’ve done and change her name before it’s too late. Otherwise, welcome to the world, North West, and may the luck be with you. You’re going to need it.